Musokotwane Compassion Mission Zambia (MCMZ) in Southern Province has retrieved a Grade 12 pupil who was eloped into an early marriage. This was after a report was lodged to MCMZ by Batoka Secondary School management on Friday, March 22, 2019. Confirming the incidence to NewsDayZambia.com ,MCMZ Executive Director, Sibbuku Genious Musokotwane warned parents and prospective husbands to desist from marrying off school going girls, describing the practice as detrimental to the health, education and economic development of its victims and the nation. He revealed that a long-term education plan to have the girl back into school under boarding school support has been developed. Musokotwane has since appealed to all stakeholders and members of the public to partner with the organization as they intensify the fight against early child marriage towards the 2030 goal for zero prevalence, and provision of after retrieval services to survivors. And Batoka Secondary School Head Teacher, Passmore Ntiindu thanked MCMZ and the Zambia Police Service for swinging into action immediately the matter was reported. “The education of girls should not be trivialized, and we since offered boarding space for the survivor once schools reopen for the second term,” said Ntiindu. Ntiindu said that education is the best investment in children. 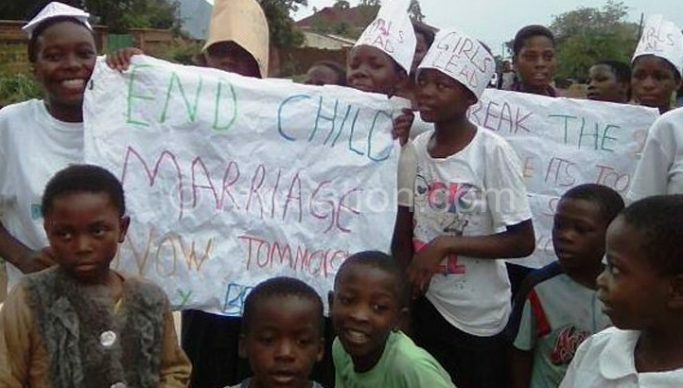 “Will continue to push for an end child marriage agenda,” he said. And the survivor whose name has been withheld said that she was willing to go back to school. The survivor is appealing for sponsorship to enable her sit for her examination.